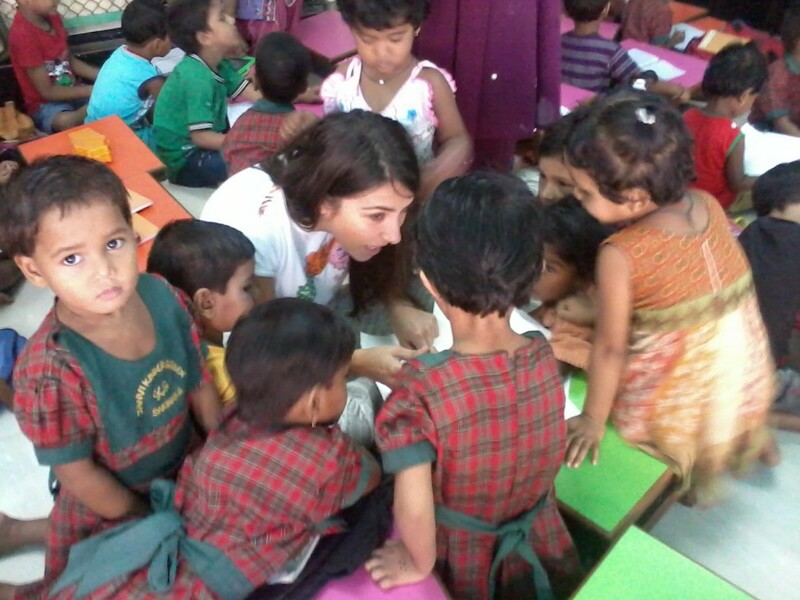 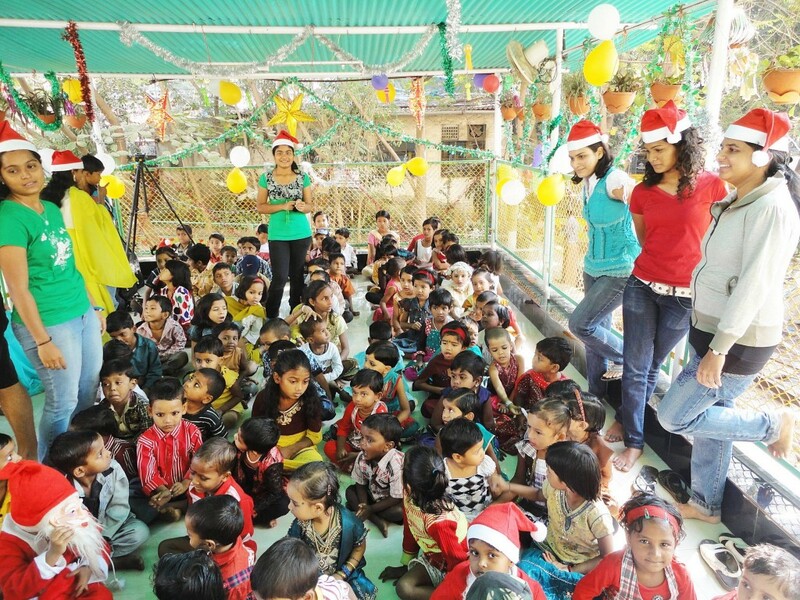 Janvi runs a Free English medium Junior & Senior Kindergarten School for 70 children. 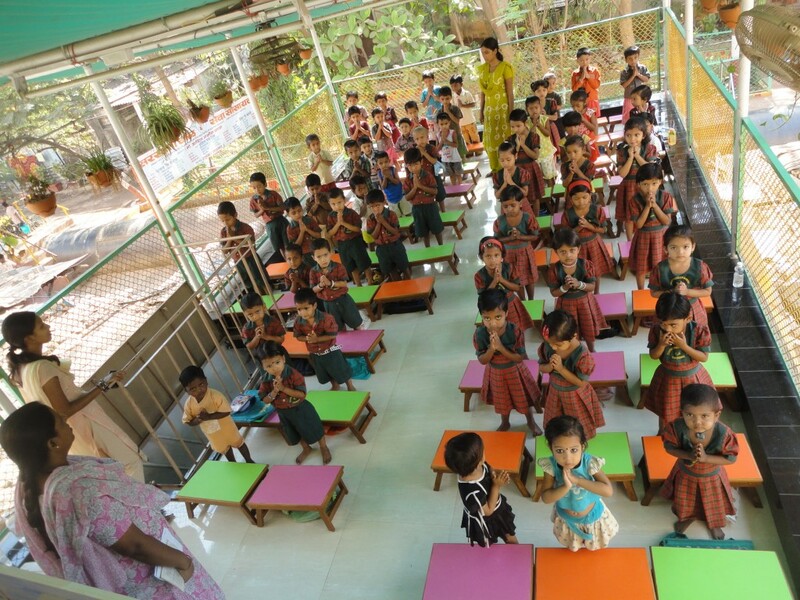 All Educational materials like Text and Note Books, School Bags, Uniforms, Tiffin Boxes, Water Bottles, Compass Boxes and all stationery are provided to the children. 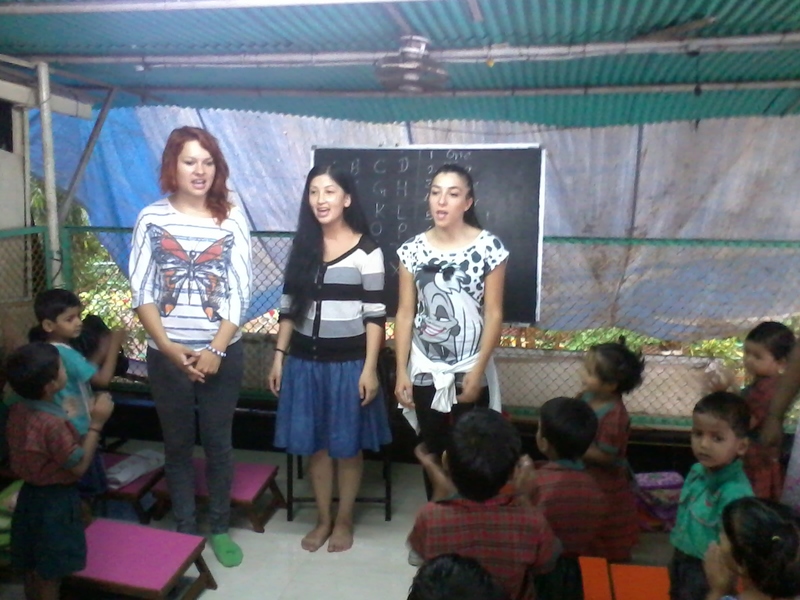 International Volunteers teaching the kids. 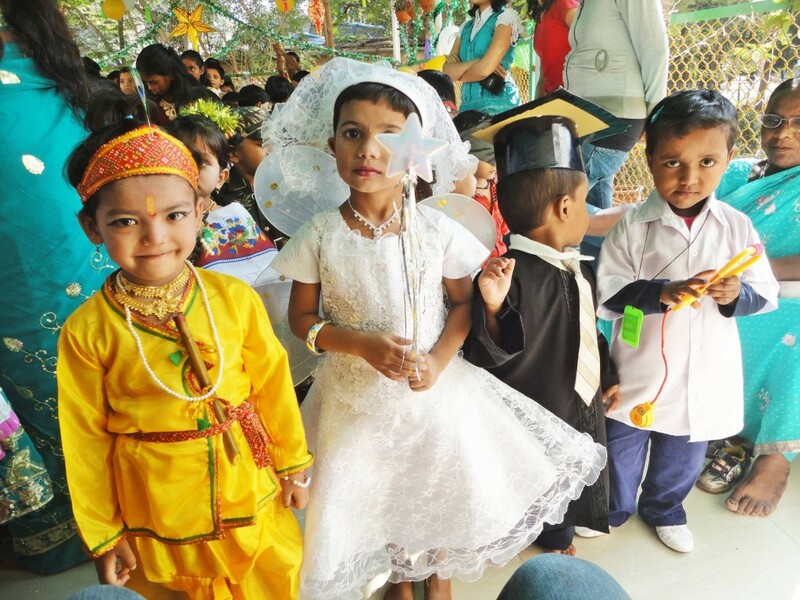 All festivals are celebrated at the school.